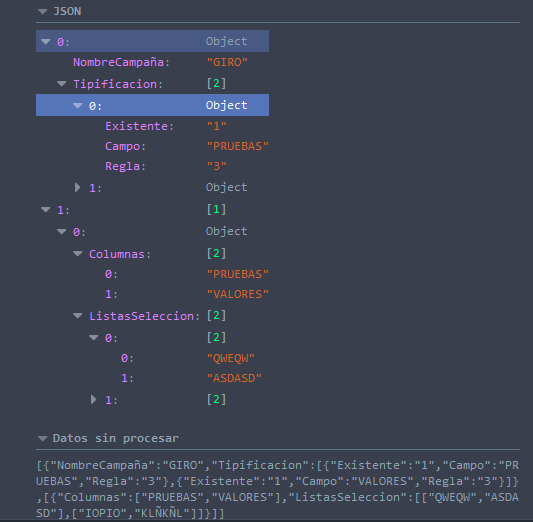 I´m trying to pass my data(json) from view through ajax to my controller but this arrive null. Thanks in advance fro any help or suggestion. This is my ajax function. When i print the json in my browser console everything is good. But something bad happends, im making something wrong. When creating a collection in C#, all objects in the collect need to be of the same type, meaning that they have the same Property Names and Property Types.